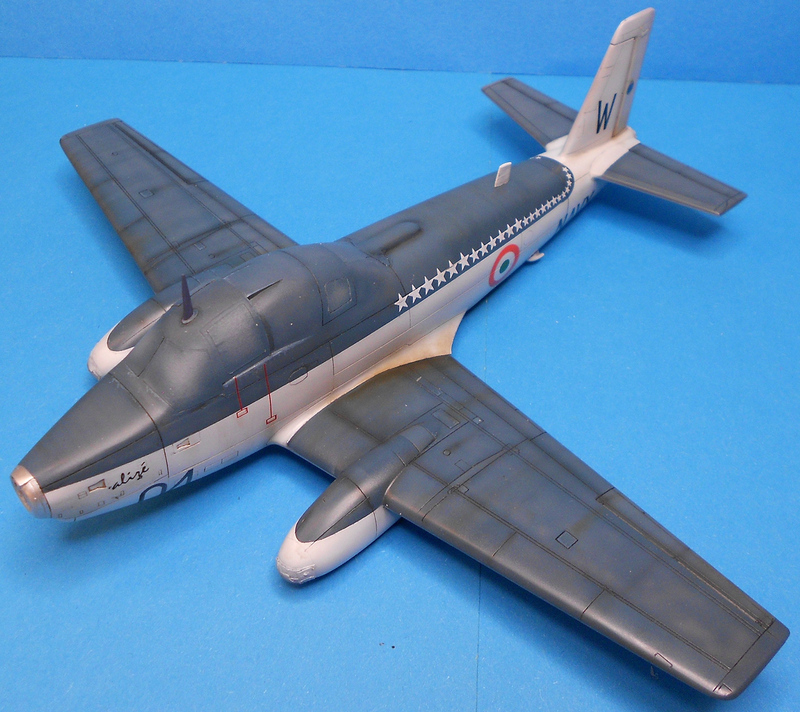 It’s not every day that a rare aircraft such as the Breguet Alizé is proposed in a model kit. 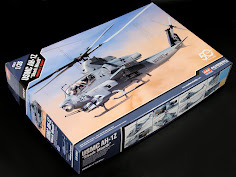 Sure, there was a 1/72 scale kit that dated from the time the dinosaurs walked. 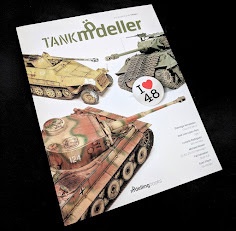 Frrom has given us 4 options in their new kit, and Francios tested out the Indian version with this build review. 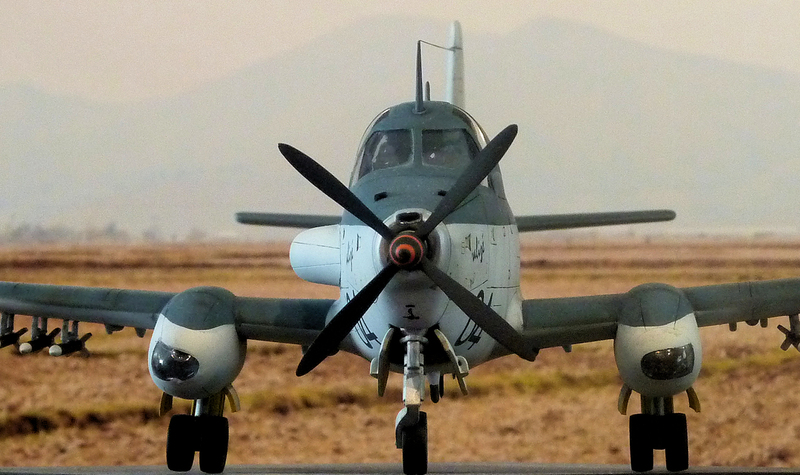 The Breguet 1050 Alizé (Tradewind) carrier-based Anti-Submarine Warfare (ASW) aircraft was derived from the Breguet 960 Vultur, an unsuccessful attack aircraft design that was limited to only three prototypes. The Alizé prototype first flew on October 5, 1956. This was followed by a trials period that included catapult and landing tests at the Royal Aircraft Establishment in Bedford, England. 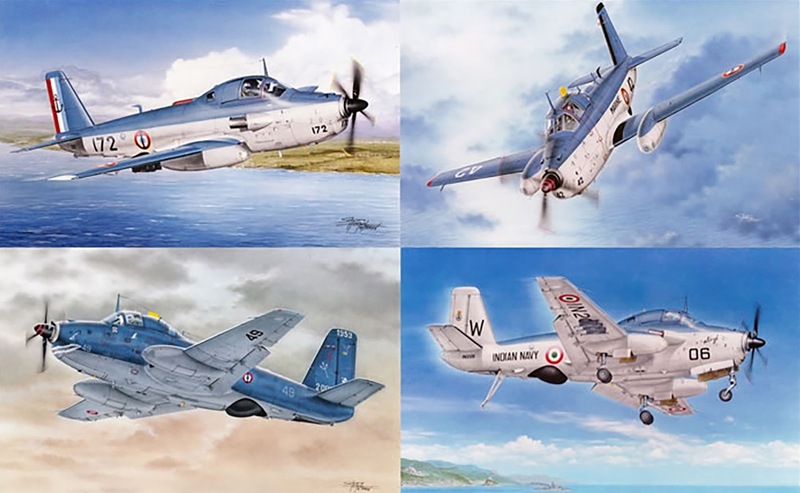 Three prototypes and two pre-production machines were built, with the first delivery of a production machine to the French Navy being made on November 15, 1957. 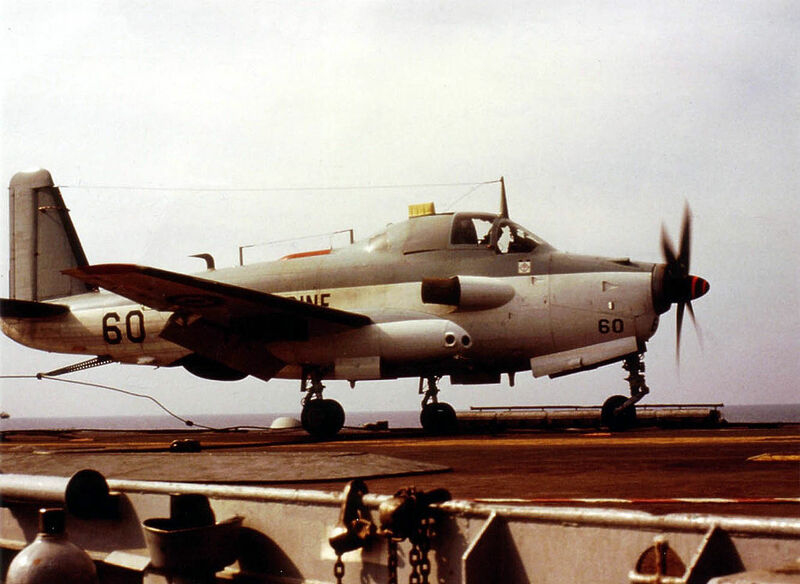 The Alizé replaced the Grumman Avengers in the submarine hunter-killer role, with 6 Flotille (6F) being the first squadron to receive the Alizé in 1959. 6F served as an operational training squadron, familiarizing both flight crews and support personnel with the new aircraft. French Alizés served in the Anti-Submarine Warfare (ASW) role with Flotilles 6F, 4F and 9F, and in various ancillary units from 1959 to 2000. Thirty Alizés were modified to ALM standard between 1978 and 1983, of these fifteen planes were further upgraded to ALH standard between 1996 and 1997. At the end of its French service, the Alizé undertook coastal and sea surveillance. 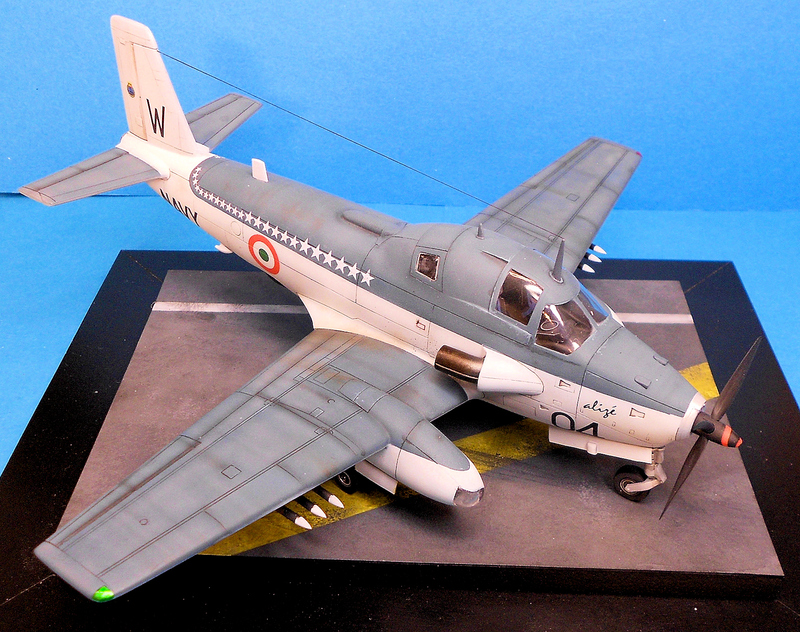 France exported the Alizé to India, with the maiden flight of an Indian Alizé occurring on October 21st, 1960. 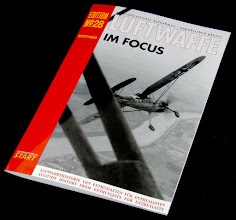 The initial order for 12 planes was met between June and September 1961. Alizés served with Indian Naval Air Squadron 306 "White Cobras", either embarked aboard the aircraft carrier INS Vikrant, or based on land at INS Garuda, near Cochin (Kerala). Indian Navy Alizés saw action in the 1961 Goa operation, and then during the second Indo-Pakistan war of 1965. They saw further action in the third war between the two states in December 1971, when they were involved in the hunt and destruction of one Pakistani submarine, on December 5th. 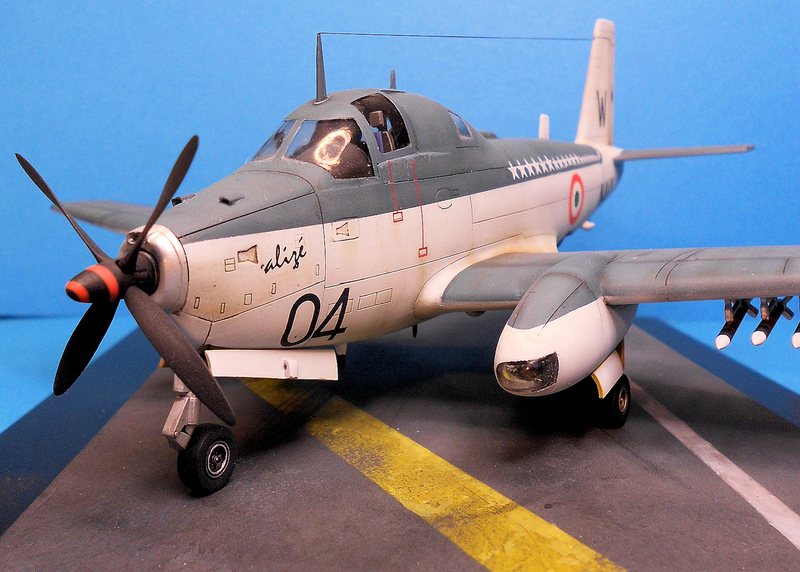 However, five days later, Alizé IN203 was lost, after being shot down by an F-104 Starfighter according to Pakistanis, or crashed at sea while trying to escape according to the Indians. The aircraft crew of Lieutenant Commander Roy, Lieutenant Sirohi and Aircraftman Vijayan were lost in action. 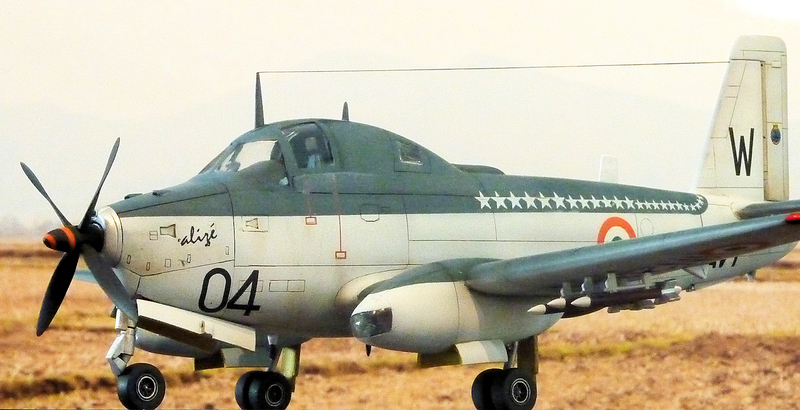 By 1977 India had only six operational Alizés, even after two additional aircraft were delivered by France. Alizés nevertheless were still used from February to October 1988 against the LTTE in Sri Lanka, and again to oppose an attempted coup against the Maldives government. 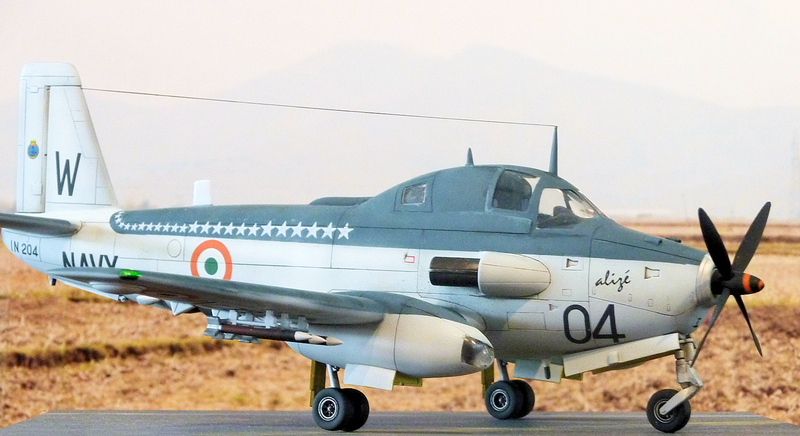 Unlike some French Alizés, the Indian aircraft were never upgraded to ALM or ALH standard and were retired from service on April 21st, 1991. 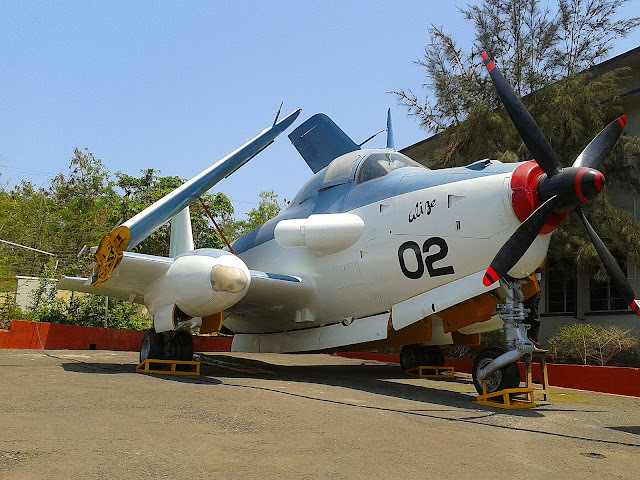 Alizé number IN202 can be seen on display at Bogmalo Naval Aviation Museum near Goa. 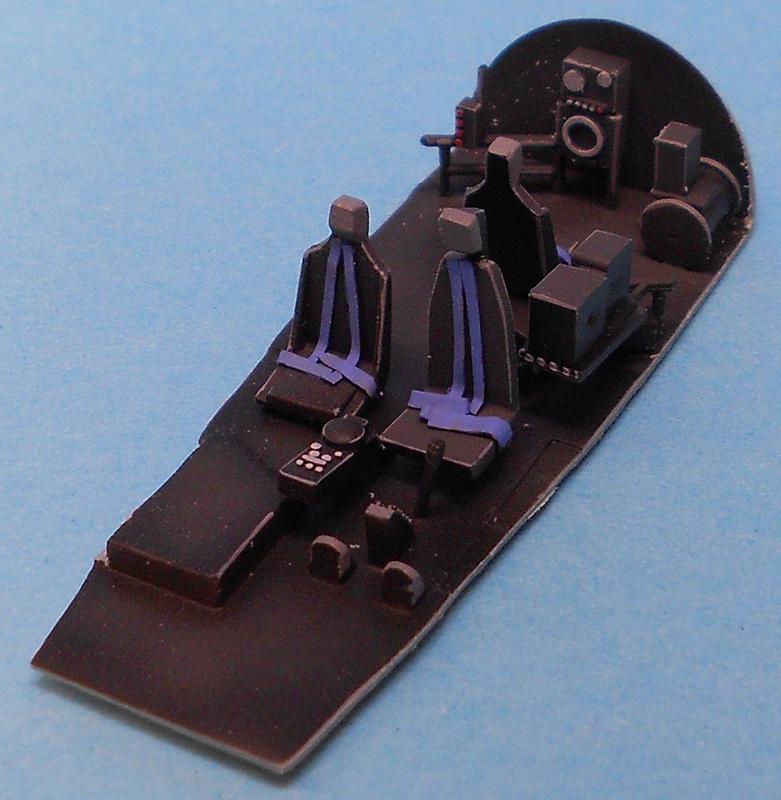 Specifications (1G): ASW carrier-based monoplane, three crew members (pilot, navigator, radar operator). Engine: Rolls-Royce Dart 21 turboprop, delivering 1950 cv. 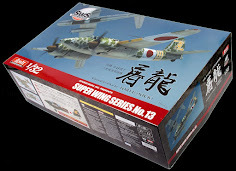 Wingspan 15.60 m, length 13.86 m, wing area 36 m2. Economic cruising speed at 182 knots (336 km/h), normal endurance 4 hours, a range of 2500 km. Usual weapons: 6 ASM rockets under the wings, three 160 kg depth-charges in the bomb-bay. 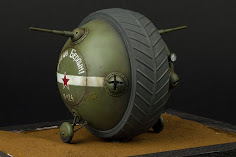 Other possible combinations include 700kg torpedo in the bomb-bay, bombs, SERAM rockets, and wire-guided AS.12 missiles. 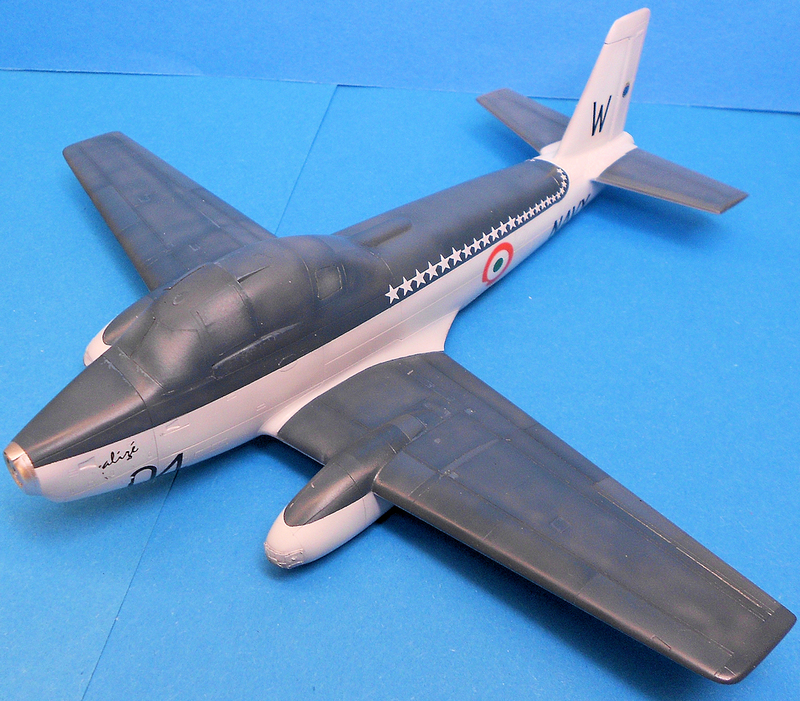 It’s not every day that a rare aircraft such as the Breguet Alizé is proposed in a model kit. 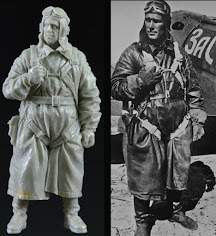 Sure, there was a 1/72 scale kit that dated from the time the animals talked, but it was more than the time that a good kit would be available. Frrom gives us 4 options, we tested out the Indian boxing of the kits. 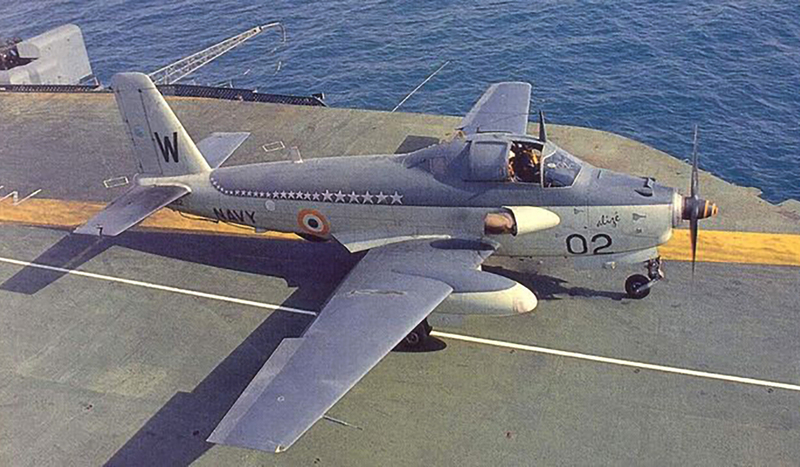 Breguet 1050 Alizé Nr78, IN206, INAS 310 "White Cobras", INS Vikrant carrier, beginning of 1970. 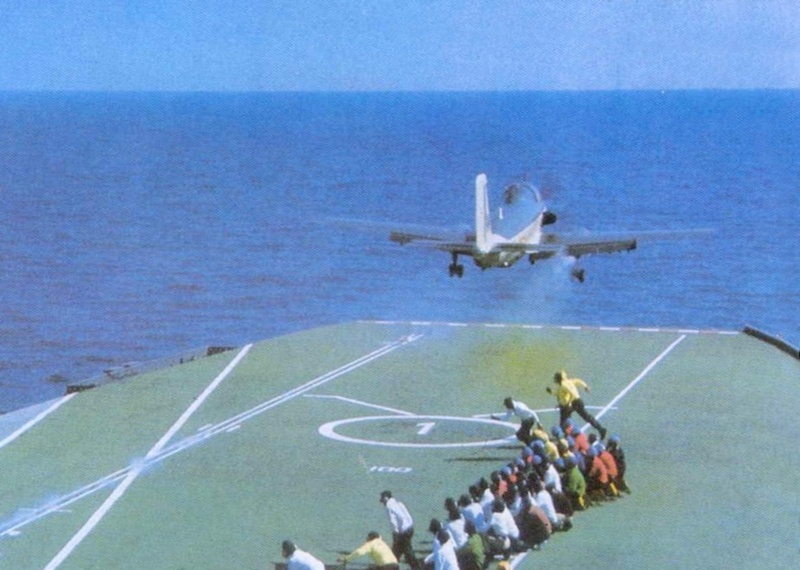 Breguet 1050 Alizé Nr67, IN204, INAS 310 "White Cobras", INS Vikrant carrier, 1985. The 24 stars on the fuselage are for the years in service. Breguet is a company with a long history in innovation. The aviation company was founded by Louis Breguet, but innovation ran in his family for centuries. His great-great grandfather was an innovator in the field of watches (Queen Marie-Antoinette and Napoleon were clients) and his grandfather was a pioneer in electricity and communications. 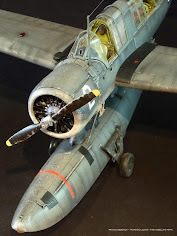 Breguet Aviation has designed quite a few interesting aircraft: from the WWI fighters and bombers to large flying boats or more recently the Atlantique and Alizé. Frrom – which is linked with Azur – has produced a nice limited run kit. 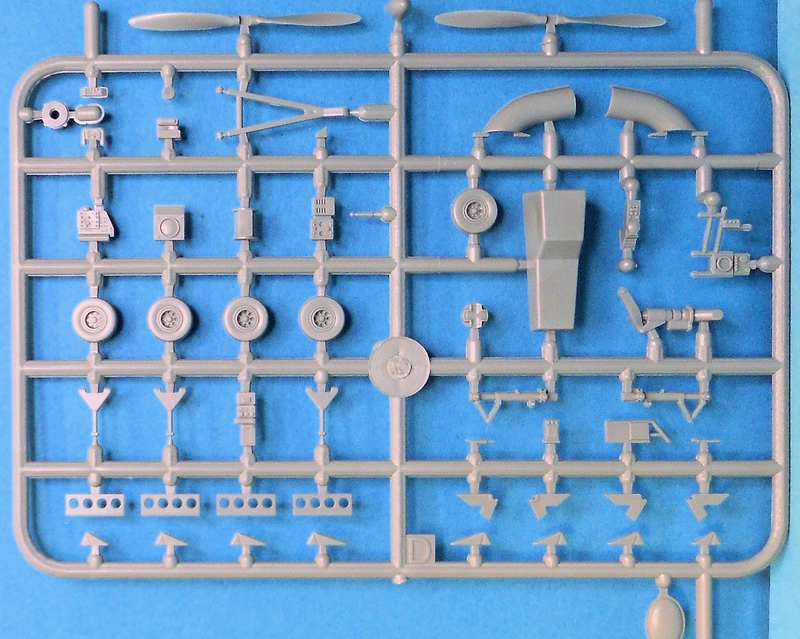 The good news is that the panel lines are nicely done and that the parts are accurate in detail. But you have to take into account that this is a limited run, so you have to clean up some flash on the parts. For the interior of the Alizé, Frrom provided some detail, which is good. However, not much of it will be visible, especially because it is pretty black. François painted and dry-brushed the cockpit, with some colour thanks to the blue seatbelts. 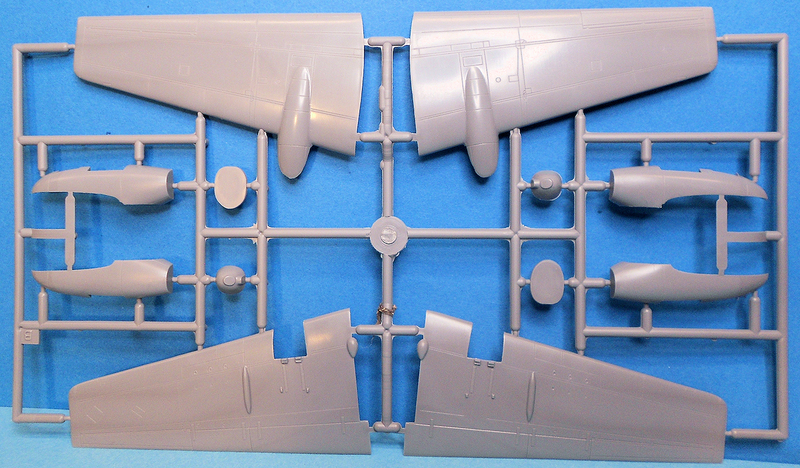 To make sure that the cockpit floor aligned perfectly, some sprue was glued in place on the fuselage sides. 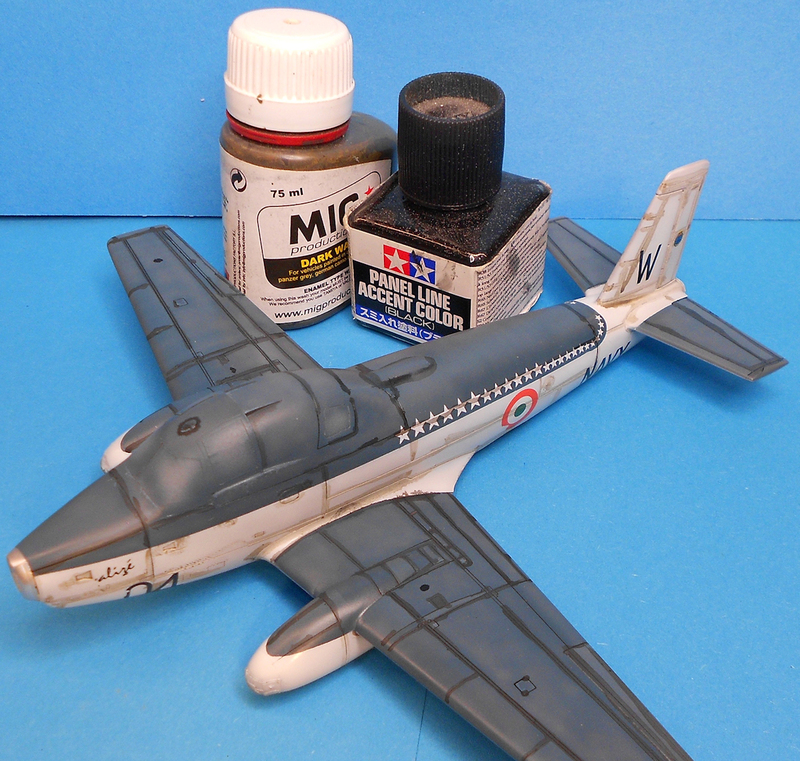 With the side consoles painted and detailed, the fuselage could soon be closed. One thing though: don’t forget to put in some weight, because if you don’t, you’ll have a tail-sitter for sure! 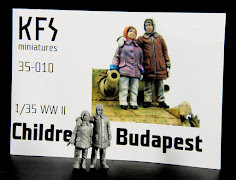 This kit requires some old-school modelling as can be seen in these photos. 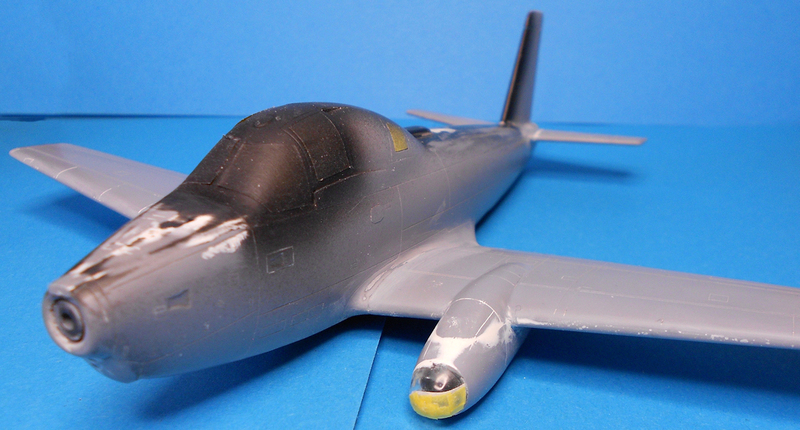 Being limited run, it needed some putty around the nose and the leading edge pods. But once the sanding and polishing is done, it’s time for some paint! 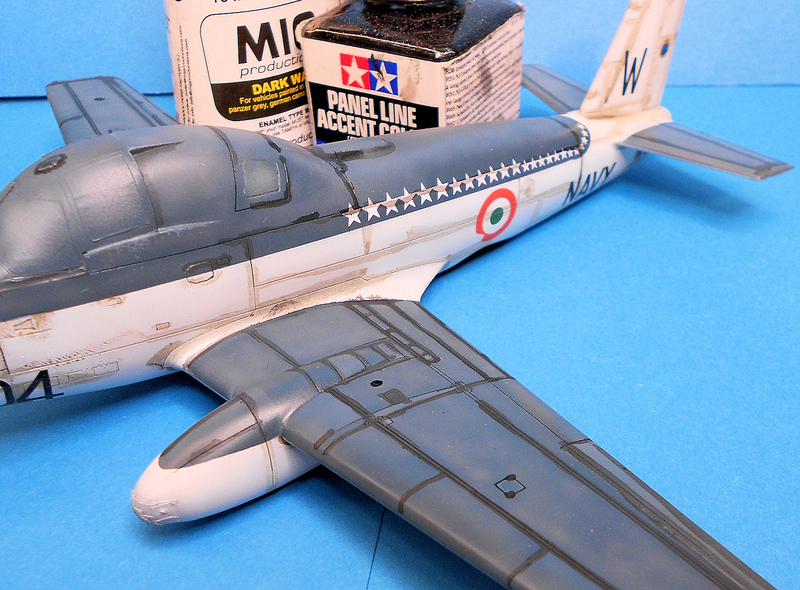 Basically, it’s a simple two-tone camouflage, but François livened up the kit by shading some panels with a lighter shade. 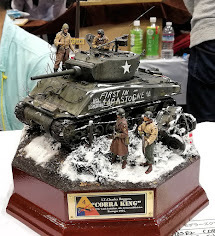 For this kit, he used Tamiya paints, being very stable and forgiving. 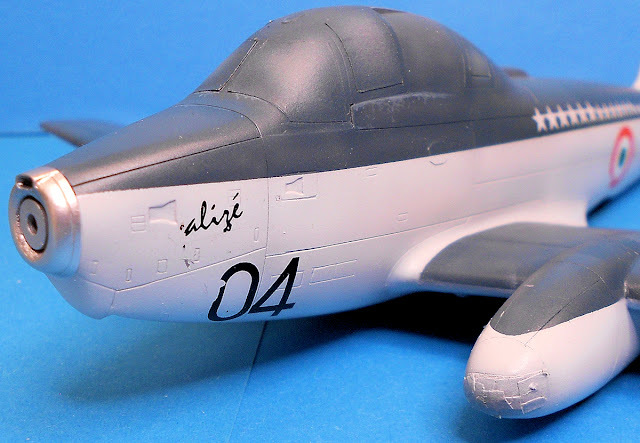 Some micro painting was done to give the Alizé a bit of a used look. 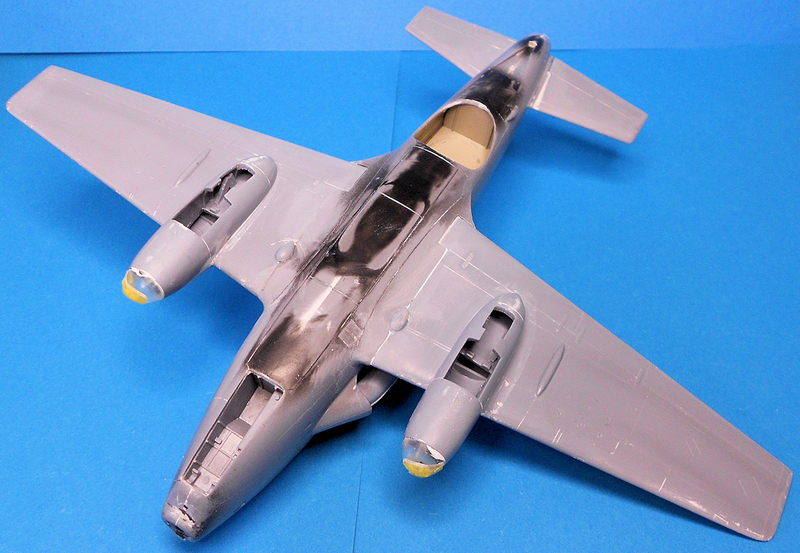 In this photo, the fuselage details can be seen to good effect. 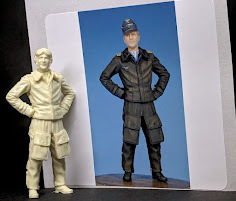 Next, it was time to mask the grey-blue and bring on the white! Hardly dry, François placed the decals on the kit. 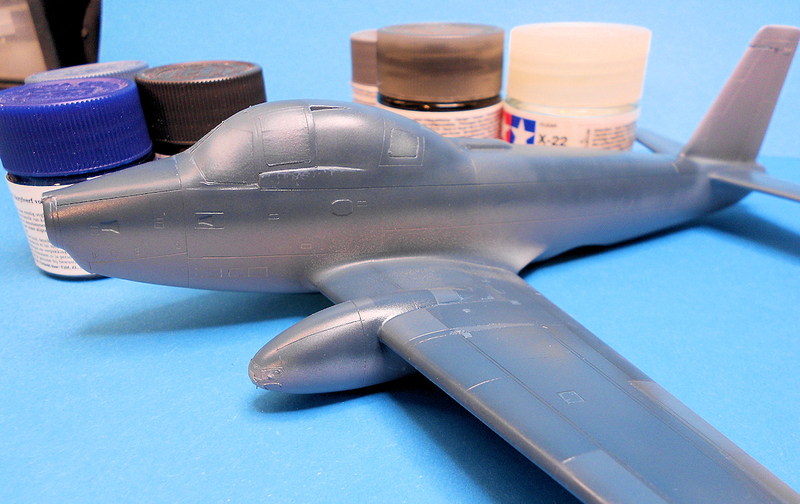 The kit doesn’t have that many decals to apply, but as you see here they are well aligned and go on really easilly. 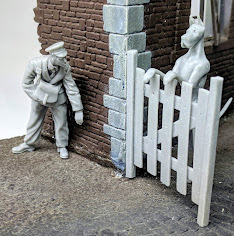 In some areas, a little repairing had to be done, but it wasn’t before long that François could start with his favourite part of the kit: weathering it. 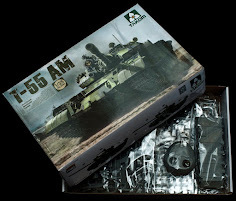 For weathering the kit, the traditional products were used: some panel line accent colour from Tamiya and Mig pigments. Next step: some more depth by using oils. The oil paint really brings the kit alive. 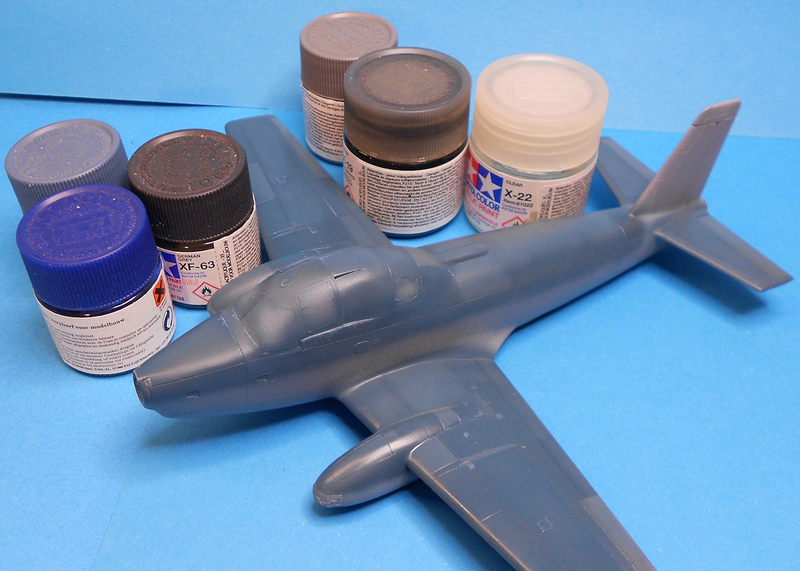 Once the kit is dry, the smaller parts can be painted and glued upon it. A lot of time went into the building of the rockets, which François basically rebuilt from scratch in order to give them a realistic look. 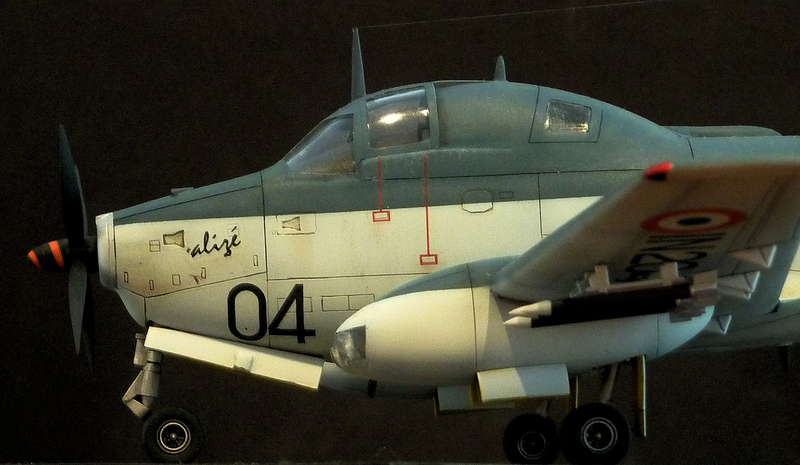 After they were done, the final assembly began and resulted in a pretty nice looking Breguet Alizé! Unmasking the transparent parts resulted in what we thought: not much of the interior can be seen. 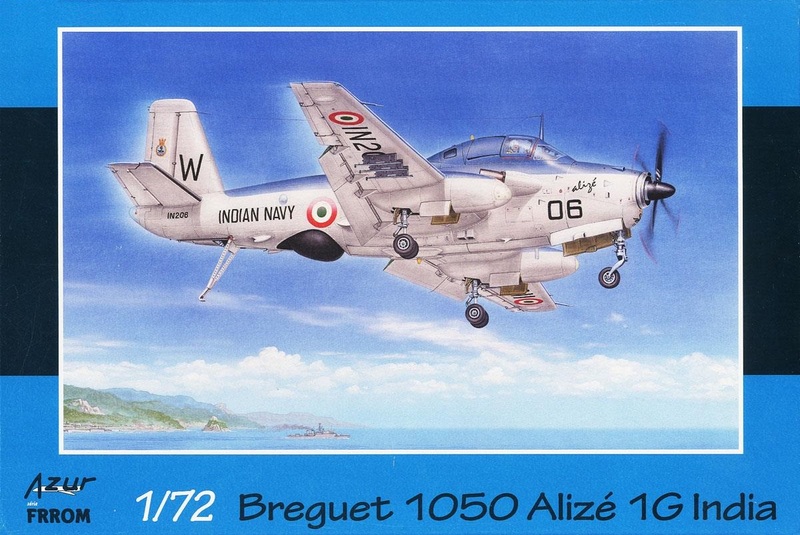 Nevertheless, this is really a very convincing model of the Breguet Alizé in Indian colours. 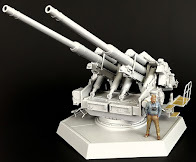 The smaller parts are quite nicely detailed so don’t be afraid to get up close to the kit! Nicely done Frrom (and François, of course). Look how nicely the decal on the spinner turned out. So, how about this Alizé? It’s the best choice you can make for an Alizé, no doubt there! 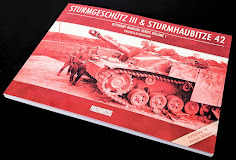 It is detailed enough for a 1/72 scale kit, has some nice decals and the fact that you have a choice of 4 boxes surely is a plus. 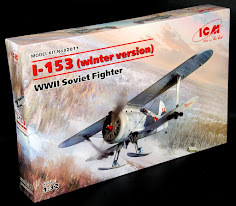 Modellers with a soft spot for this aircraft will be pretty happy although the price of it – just under 40 euro – is rather serious. 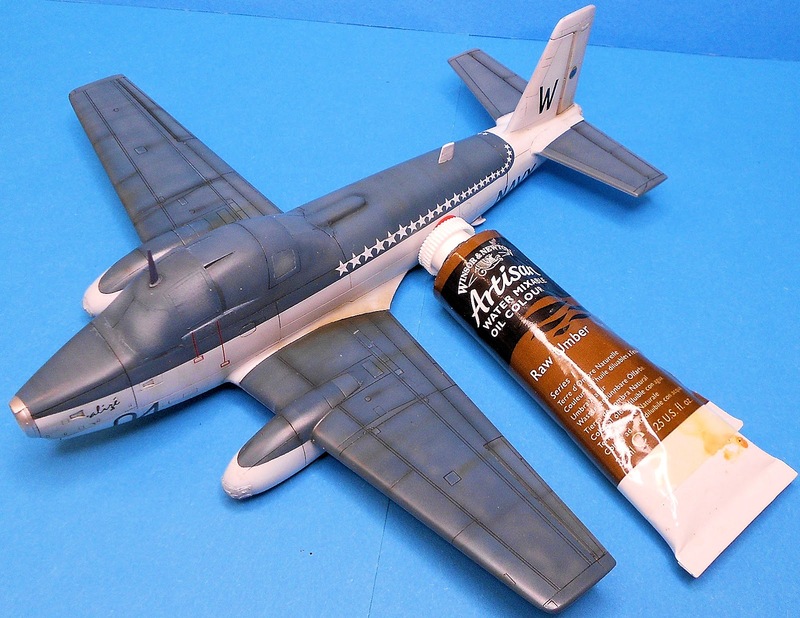 It is good to see this kind of aircraft available in a good (injection moulded) kit. Well done Frrom. 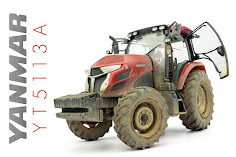 and Au 16 Escadron for getting us this kit to review.